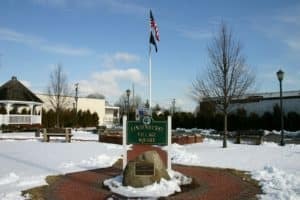 Lindenhurst is a village in Suffolk County, NY located on the southern shore of Long Island in the town of Babylon, NY. The village is bordered by Capiague to the west, North Amityville to the northwest, North Lindenhurst to the north, West Babylon to the east and the Great South Bay to the south. Lindenhurst was once named “Breslau” because the town’s original German settlers were from the city of Breslau in Silesia which is now present-day Wroclaw, Poland. However, in 1891 the city was renamed Lindenhurst. Jack Barry – famous game show host, grew up in Lindenhurst and was valedictorian at Lindenhurst High School. Joy Behar – of The View was once a teacher at Lindenhurst High School. Pat Benatar – rock and roll singer, grew up in Lindenhurst and attended Lindenhurst Senior High School. Hal Hartley – film director, is a Lindenhurst native. Dan Lauria – actor who played the role of the father from The Wonder Years, lived in Lindenhurst. Linda Morand – a top international model, was born in Lindenhurst. Residents in the Lindenhurst, NY area have chosen Babylon Honda as their designated Honda dealership for years because of our unbeatable customer service and amazing deals. You can count on Babylon Honda for quality Honda parts and the best Honda prices.